Accentuate your curves and throw more oomph into your carves in the Obermeyer Clio Softshell Ski Pant. This pant's nylon-elastane softshell fabric creates a smooth fit for a brilliantly natural look. Metal zippers and heavyweight knee-stitch detailing bring the waterproof-breathable fabric to life. 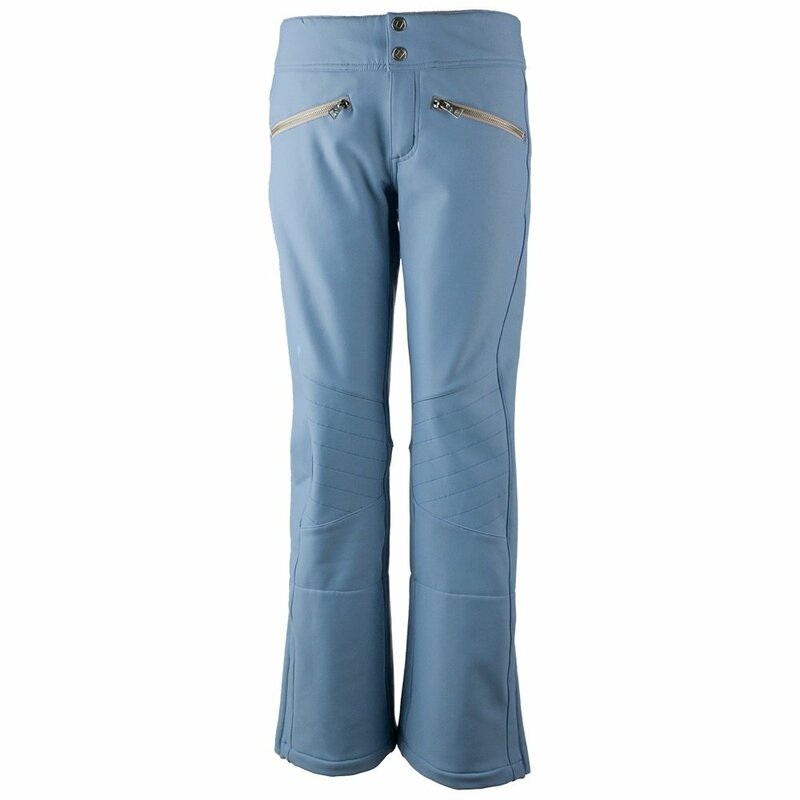 Once out on the snow, this pant moves sharply thanks to its high-stretch construction. Water-resistant powder cuffs hug your boots tightly, keeping spraying snow and water out to maintain dryness. Up top, the high-back waist improves fit and coverage and a fleece waist lining ensures the best possible comfort. "Obermeyer Clio Softshell Ski Pant (Women's) Are the zippers on the black pair actually black and consealed or silver and exposed? thanks"
"The zippers on the black Clio pant are silver. Hope this information helps. " "Thank you for your inquiry. The waist on the Obermeyer Clio Softshell Ski Pant is about middle rise. We hope this information helps!" "Do these pants ride higher closer to your belly button hopefully? " "Thank you for your inquiry. The waist on the Obermeyer Clio Softshell Ski Pant is about middle rise. We hope this information helps! " I love these pants because they are have such a thin profile. Not bulky or puffy at all. I can't wait to wear them on my next ski trip. Definitely recommend these ski pants. I'm 5'7 165 and ordered a size 12....they fit but they do run large. Very comfortable and warm. I like them because I can move freely and the color is awesome!